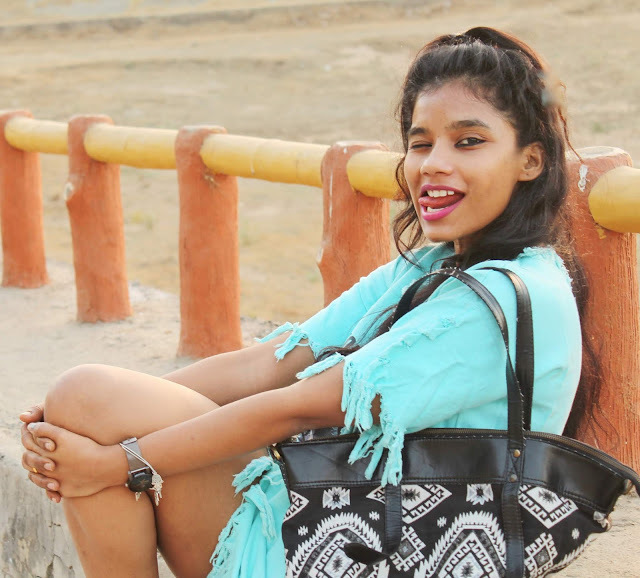 With change in season, there are new fashion trends which are coming in, there are some which are making a comeback and some which are carried from last season as well. One such trend which was strong for last two seasons and which is still in trend is the fringes fashion trend. I remember 2 years ago everyone was like fringes are in, and I saw them in all the fashion stores. 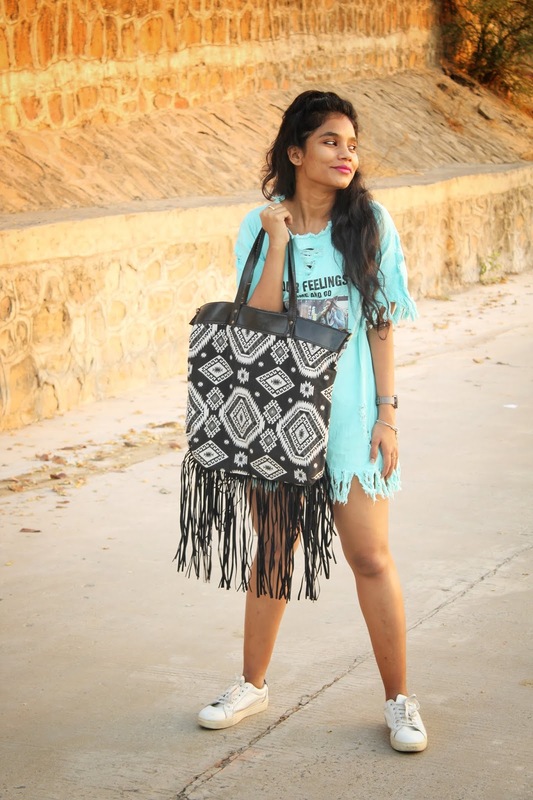 Fringe bags, shoes, dress, tops, jeans everything. Back then I loved the trend, and still continue to love them. Under the rave I bought a lot of things which had fringes on it. Later, thinking to myself when will I use all this, as next year I might not wear or use once my inner fad goes off. But I was wrong neither did my internal fad disappear, nor was it a fad in the world of fashion. It was to continue for the third successful installment. 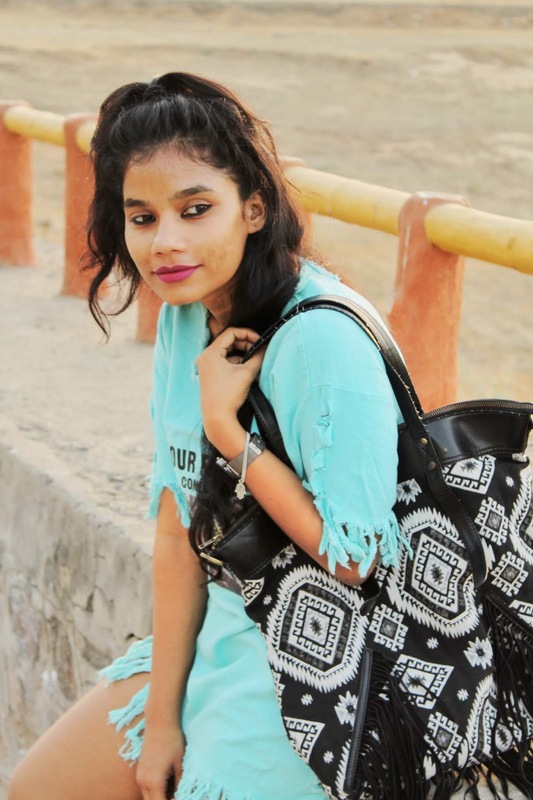 The thing about fringes is that even if you wear your accessories and your outfit both in fringes, it will not overpower the look but it will just make it more fashionable. Today I m wearing a fringe dress which is so summer appropriate both in terms of fabric and colour teamed with a fringe bag, both of which I bought during fringes manic time, topped with another long time trendier the white sneakers. So do let me know if y'all are still up for the fringe fashion trend this season. Are you happy that fringes trend have continued on to this season as well? Love the fringe outfit on you. The bag looks great and fun too. I really like the fringes. I loved to know it's trend! I adore the fringe details. In fact,I DIYed some jeans so the hem was fringed like this!! I can't wait to wear them this spring. I'm happy that this trend is still going strong. For me fringes are an essential part of the hippy and boho chic style, and as I love both of these styles, I'm always happy to see fringes trending. When I was a teenager, I used to make my own fringed t-shirts. It was fun, I would just take scissors and cut some of my old tees. I don't have as many fringes items anymore, maybe I should make more. I do have one fringed bag that I absolutely adore. Your bag is fantastic! It look so spacious. I really like the fringed dress you're wearing too. You look beautiful! This fringe dress is so fun, and so perfect for Summer. Love how you styled it with the sneakers and bag. Love the Summer vibes. I love fringes, they are definitely my thing! 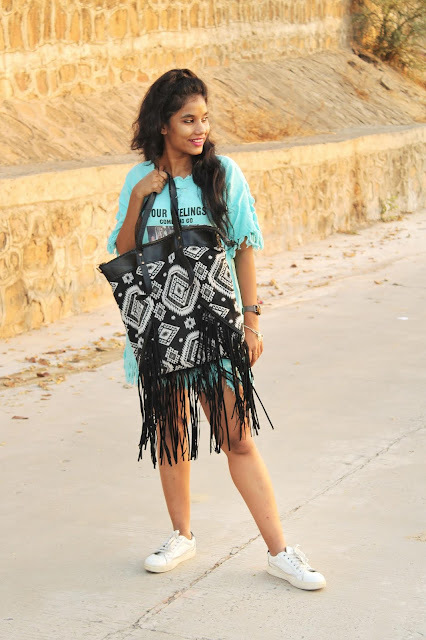 Such a cute fringe dress Priya, looking fab darling. Amazing look dear! You look so cute! I love fringes! They always look so cool and edgy! 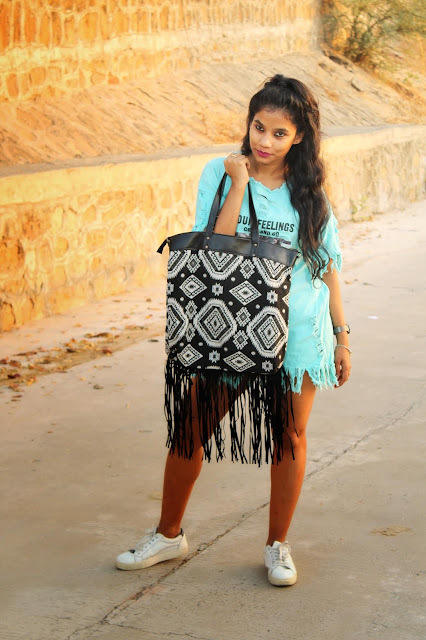 Fringe is a big trend for the SS season and you look great in it! Love the bright color, its perfect for spring! I love your look and photos! Nice laid-back, fun and comfortable outfit. Nice outfit for the outdoor. Have a happy day! This trend is so fun- it feels very summer to me, which I love! Bjos no seu coração, amiga querida! Very nice and original bag. I love it!!! Great post, I love this outfit =) Perfect for spring. Que fotos lindas, adorei o look. I love fringes and this look is absolutely cool! Mi piace tantissimo la bag con le frange!! !